It was the perfect size for our family of 4. It was an easy walk from the Bath Spa station. IT WAS RIGHT IN THE CENTER OF TOWN!!!! We could go out, and come back to drop things off or relax a bit before going out again. Perfect location! It was great having a kitchen to make breakfast. Loved the Nespresso. We did our food shopping at the Marks and Spencers (a two minute walk). The place was clean, the beds were comfortable, the linens were crisp. Loved the towel warmers in the bathroom and the wonderful toiletries. Floors a bit uneven and sloping, but that kind of added to the charm. We thoroughly enjoyed staying there! The facilities within the apartment were first class. The property had wonderful bathrooms and decor. We loved the terrace. Lovely friendly staff who could not do enough for us. I left my reading glasses behind and they posted them back free of charge Apartment was very well equipped including free tea and coffee. In centre of bath. With fab private patio and hot tub! Fab! It was a great apartment in a good area. The staff were professional and friendly and helpful.. I wish we were able to stay more than one night. The apartment was a lovely place to stay, very comfortable, spacious and even closer to the city centre than I expected. The hot tub was an added bonus! Incredible location in the hear of Bath. The apartment had every convenience and was extremely comfortable. very good location. beautiful apartment! this ia the best apartment that I have ever chose. Clean, comfortable accommodation, the beds were super comfy. Great terrace area with table & chairs. Ideal location. 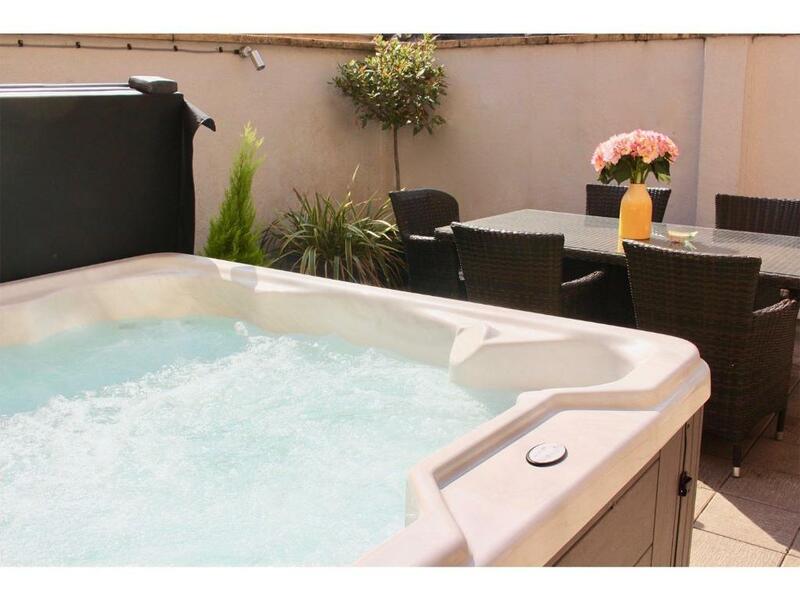 Lock in a great price for Dream Stays Bath - Trim Street (Hot tub) – rated 9.4 by recent guests! 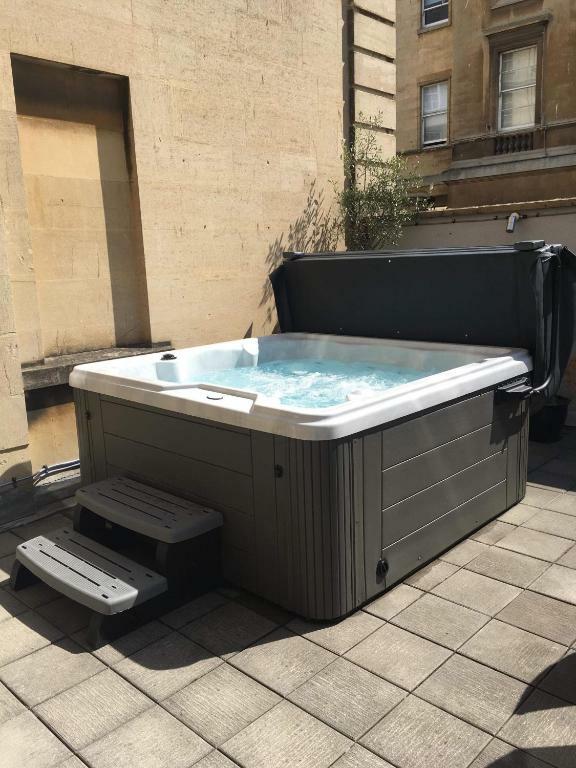 Dream Stays Bath - Trim Street (Hot tub) This rating is a reflection of how the property compares to the industry standard when it comes to price, facilities and services available. It's based on a self-evaluation by the property. Use this rating to help choose your stay! The is fitted with a Smart flat screen TV. There is a fully-equipped kitchen with a dishwasher and a microwave. 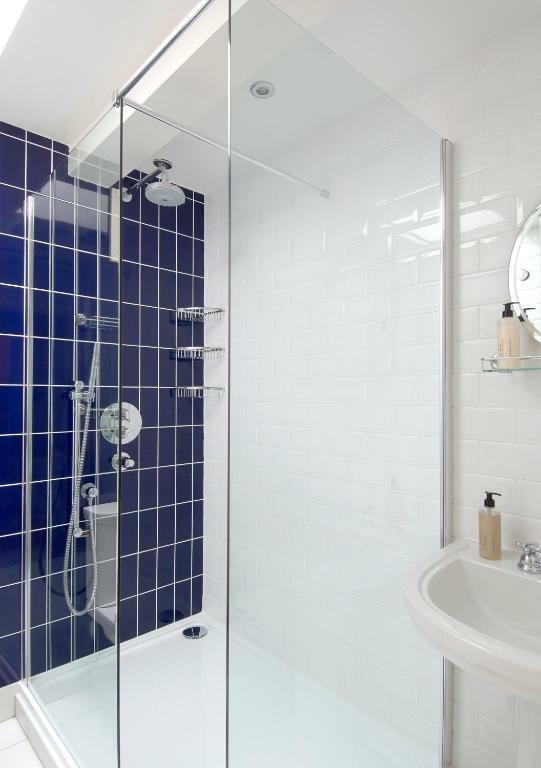 The private bathrooms feature a bath or a shower and come with a hairdryer and free toiletries. The apartments are located in a 3 story Georgian townhouse with all floors being access by stairs. The property features an outdoor hot tub located in a private patio area. Available for everyone to use when staying at Trim Street Townhouse. From the property, Sham Castle is less than 2 miles away. The Holburne Museum is 11 minutes' walk away and the Fashion Museum is a 5-minute walk away. Bath Spa Train Station is a 12-minute walk from Dream Stays Bath, while Approach Golf Course is less than 1 miles away. 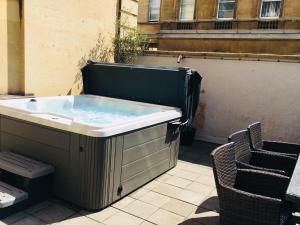 When would you like to stay at Dream Stays Bath - Trim Street (Hot tub)? This apartment has a private entrance, a fully-equipped kitchen, a lounge with a flat-screen TV, a patio and a CD player. It also includes a private bathroom. Public parking is available at a location nearby (reservation is needed) and costs GBP 14 per day. Dream Stays Bath is independently run by husband and wife duo Peter & Melissa. 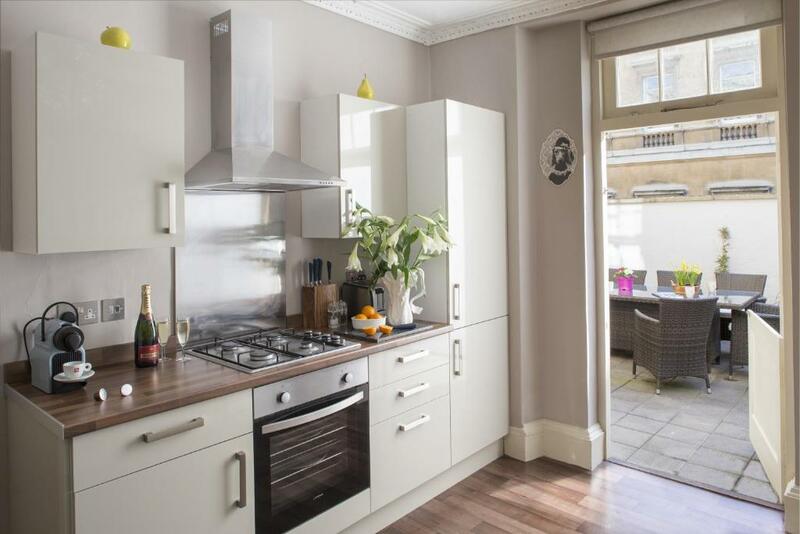 We have 9 self-catering apartments throughout Bath City centre all oozing with character, and individually designed by Melissa. All of our apartments are newly renovated, offering all the latest hi-tech conveniences, such as superfast wifi, smart TV's, Nespresso machines, Amazon Alexa Music. Bathrooms and kitchens are all newly fitted, with quality equipment and appliances. Bedrooms are well laid out with wardrobes, 1800 Individually sprung pocket mattresses and Egyptian cotton sheets. Bedrooms also have Smart TVs. Best of all our apartments retain the character of our wonderful city of Bath, located in a historic building, right in one of the best and most central areas of the city. As we like to say, "open your front door and say hello to Bath" as you will be living like a local in one of our true Bath apartments! Our Trim Street Townhouse also features an outdoor hot tub for your exclusive use throughout your stay! We look forward to welcoming you to Dream Stay in Bath! We are always on hand to help, our sister company Harington Hotel is located on Queen Street (2 min walk away) pop in for anything. This means you have your own concierge team on call 24hrs a day should you have any questions or want help and recommendations during you visit. We are here to help you make the most of your time in our wonderful city. House Rules Dream Stays Bath - Trim Street (Hot tub) takes special requests – add in the next step! Dream Stays Bath - Trim Street (Hot tub) accepts these cards and reserves the right to temporarily hold an amount prior to arrival. Please note that key collection takes place at Harington's Hotel, 350 feet from the apartments. A member of staff will take the guests to the apartment. Breakfast is available daily at Harington's Hotel for GBP 14.50 per person. Please note when booking for 4 guests and more than 2 rooms are required, there is a surcharge of GBP 20 per room per night. Please note that this property does not have a elevator. All floors are accessed by stairs. Please note that check-in and key collection take place at: Harington's City Hotel, 8-10 Queen Street, Bath BA11HE. Fantastic location and great facilities. Parking is a little distance away. The process of finding the property, going to one location for keys, then to the property, then to another location to park (which was further than 3 mins walk) then back again. For the price we hoped for a bit more in the way of a welcome pack for example biscuits or fruit. The milk supplied was an eye full. The hot tub was filthy, grit in the bottom and all sorts of scum, hair and oil floating on the surface. The parking system. Although great that you can reserve a space the process of collecting the pass from the hotel is difficult as it is double yellow no passing and bollards on the pavement. Maybe a voucher could be emailed instead? There was nothing not to like, I just wished we had stayed for longer! The apartment was perfectly appointed and the location really could not have been better, right in the centre. We could have used a few more fans or a window fan for the top floor as it was rather hot at night.